For no means this product is lagging from other expensive kayaks and thus it is definitely worth a try. It is safe, reliable, durable, long lasting and more importantly, it is amazingly comfortable and of course it is undoubtedly affordable. 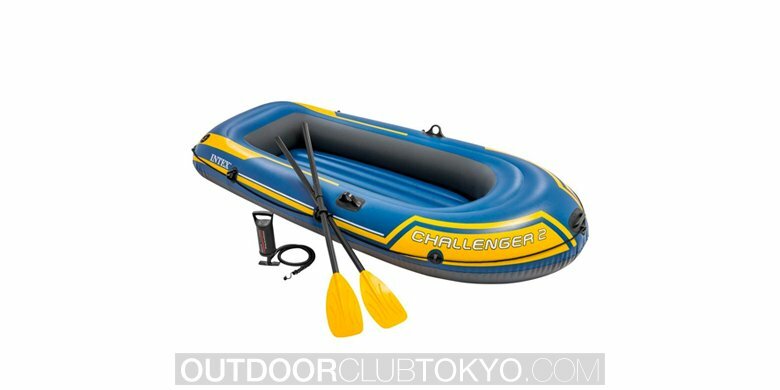 It is an inflatable kayak, so it is very easy to carry and store this product even in a small space. Moreover, the light weight structure is an addition to that. It is a 5 person raft and still have enough space to give each one of the rafter the same comfort and safety. This product is very affordable and beneficial in this price range. 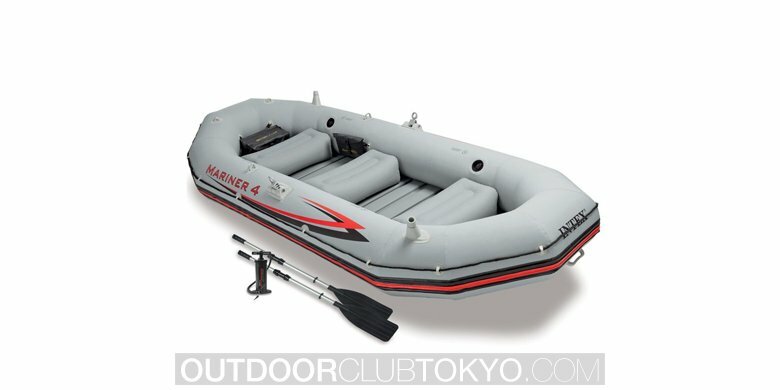 The hefty structure of this boat is made of high-quality SUPER-TOUGH vinyl construction for durability and gives you a confidence. Four fishing rod holders gives you and your co-rafters a flexibility. It has a lot of space for better comfort. The seats and the floors are inflatable and thus it gives added comfort and rigidity. The seats have the backrest for a soothing experience. This product also comes with Aluminium oars and high-quality output hand pump. This kayak has 3 air chambers and the air chamber in the hull is designed for giving the boat an extra buoyancy. 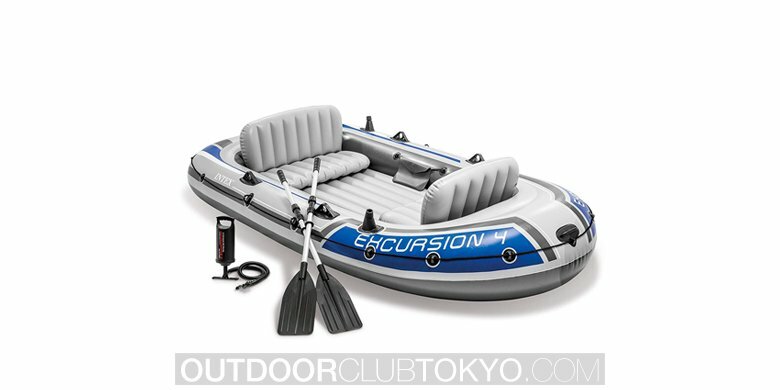 The entire kayak is inflatable, also the seats and floors are inflatable. The structure of this boat is firm and solid to make it a long lasting product. This kayak can be very easily carried and does not require much space to store this. It has a place for 5 rafters which makes it a perfect kayak for a small trip with friends and family. Design and technology make it extremely manoeuvrable and can be controlled at ease. The oars are little short and weak. Deflation of then floor and the boat is little slow and it takes some time. It is hard to fold the entire kayak properly after a use. You may have to buy a bigger bag. As this kayak is big in size, so the pump is slow in inflation so you may have to buy an electronic pump. This Intex Excursion 5 boat comes with the manufacturer’s manual and all the other equipment that is needed to setup the boat. Setting up the kayak is nice and easy, so follow these given steps and you will have no hassle in getting your boat ready for the first trip. Locate the manual of this product and give a good look on that before you start setting up the kayak. Unfold the kayak, seats, floors and other parts. The first step is to inflate the kayak. So, locate the valves on the kayak and inflate them with the pump. You can first inflate the inner chamber of the kayak and then inflate the outer side parts. The valves are located accordingly. You have to unscrew the double valve cap and then insert the output pipe of the pump and fill it. Inflate the seat separately to the 75% of its capacity and then attach hinge of the seats to the hinge of the boat. Now, setup the oars and set it up with the oar locks. Always dry the kayak properly before you fold it up and insert it in the bag. You might have to clean the kayak with fresh water before you dry it to get rid of any unwanted particles. You may also apply soap to clean the kayak. Always store the kayak in a clean and dry place. Repair patches are included so that you can repair any leaks. Always follow the instruction about the inflation level to avoid any danger. Always empty the kayak properly by opening up the valve. Q. Are the seats of this kayak movable or can anyone change the face of the seats? Ans. No, you cannot change the face of the seats. Q. Is this kayak inflatable? Ans. 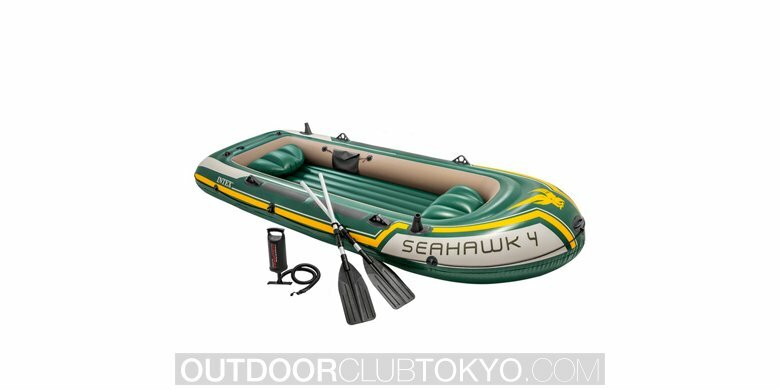 Yes, this kayak is entirely inflatable and the pumps are given to inflating it easily. Q. Can it be rowed by one person? Ans. Absolutely yes, it is very easy to row this boat by a single person. Ans. You can buy this product from online store as they have very good deal on this product. Excellence is a simple word for this kayak! It is packed with amazing features and it is extremely safe. If you are looking for a kayak to go on a trip with your friends or family then Intex Excursion 5 is the best choice for you. It is highly recommended and this product is definitely a worth your money.